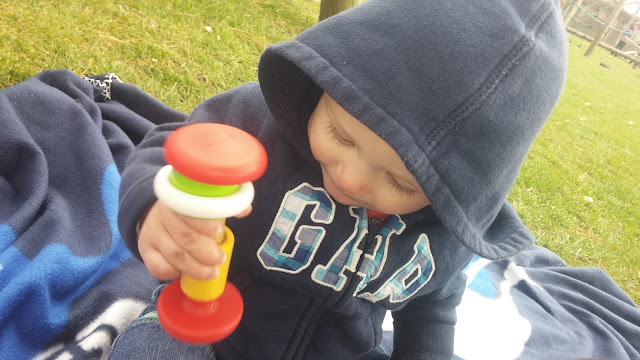 Where Roots And Wings Entwine: BRIO Wooden Baby Toys - Rattle Kit and Magnetic Train review. 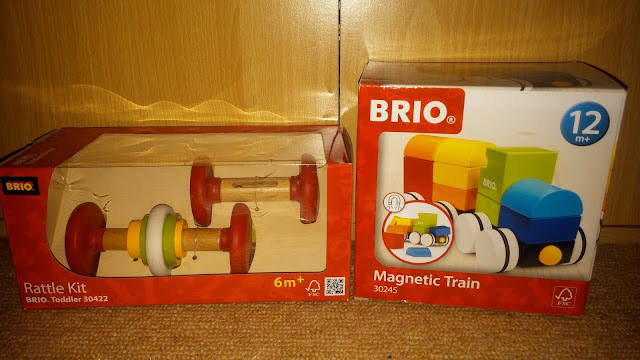 BRIO Wooden Baby Toys - Rattle Kit and Magnetic Train review. 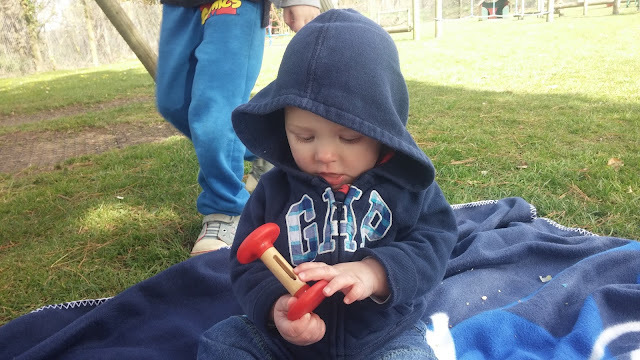 As we love wooden toys we were delighted when we were sent some wooden toys for Jelly Bean to enjoy. 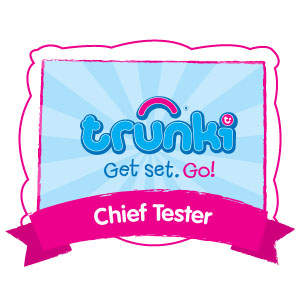 Our baby boy was sent the BRIO Rattle Kit (6+ months) and Magnetic Train (12+ months). 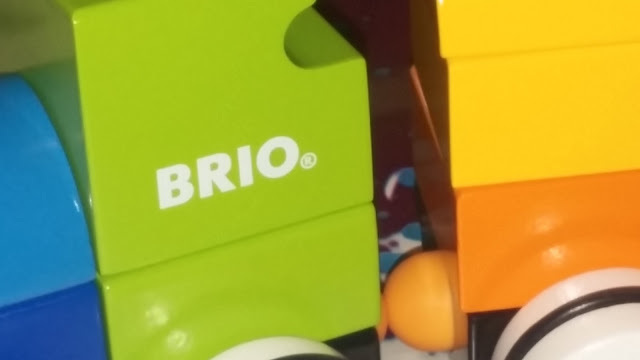 Renowned toy brand BRIO who at 130 years old are the world's leading manufacturers of wooden toys that are timeless, high quality, durable, educational and fun have an extensive range of wooden toys for little ones. 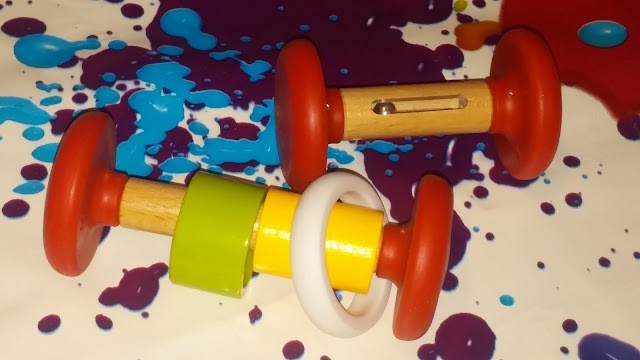 Part of their 'First Toys' range of wooden toys is the Rattle Kit that consists of 2 rattles which together supports 2 different play patterns. 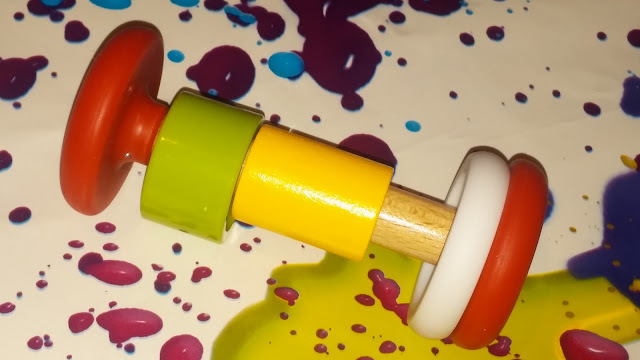 The bead rattle features a small bead nestled securely within the rattle which moves up and down the rattle as it is shaken. The moving bead which produces a lovely sound stimulates both sight and sound senses. 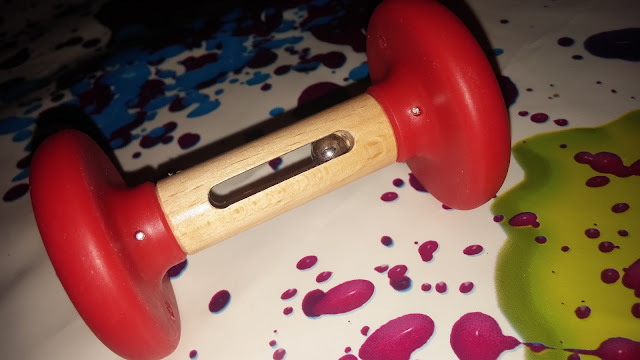 The other rattle features 3 different shapes which cleverly fit inside each other and move seamlessly along the rattle as it is moved around. 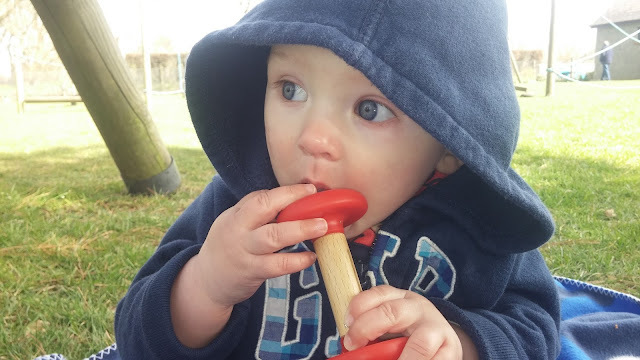 This rattle provides little ones with an experience of textures and shapes. The only concern I have is that over time the wooden coloured piece may no withstand lots of play and the paint may chip which is not good when you have a little one who loves to put everything in their mouth! But this is only a concern and it may not happen only time will tell. 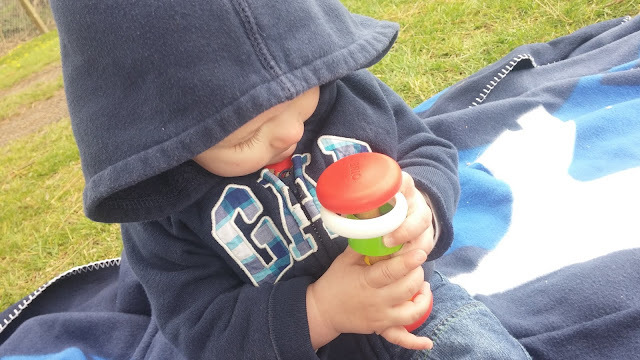 Both rattles are very well made and the perfect size for little hands to hold and shake. The compact rattles are also the perfect size to pop in the changing bag to take out and about for rattle fun on the go! They are colourful and appealing to little ones, with Jelly Bean loving his new wooden rattles. 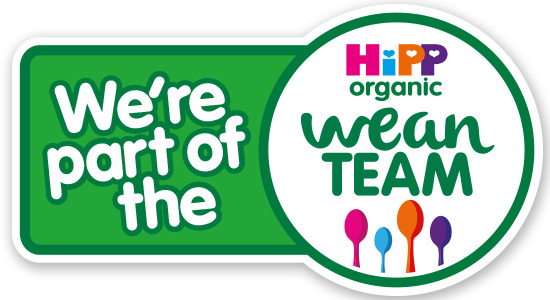 The rattles perfect complement each other and the kit would make a lovely gift for a little baby. The Rattle Kit has an RRP of £9.99. 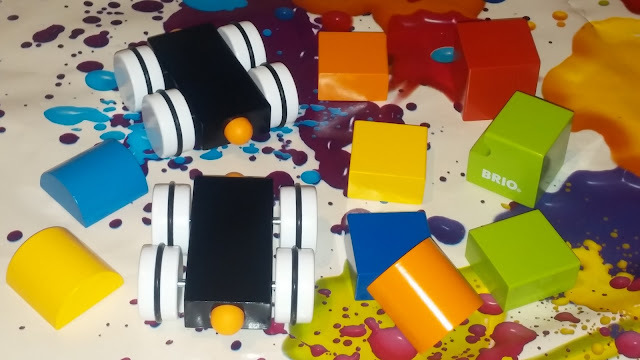 The Magnetic Train is a colourful set of blocks which have magnets inside so that they connect together to stack and attach to create a fun and brightly coloured train. 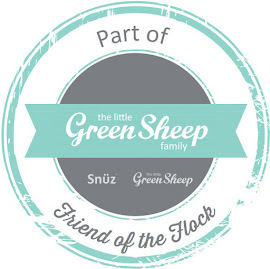 The pieces are well made and are of high quality, with the vibrant blocks being eye-catching and appealing to little ones. 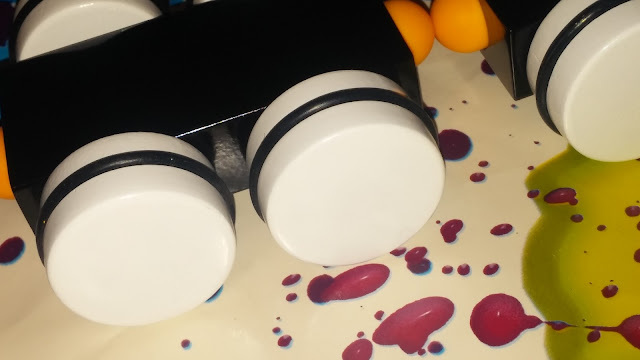 The pieces are the perfect size for little ones to hold and stack, and once constructed the train moves along smoothly thanks to the train wheels and the blocks securely stay in place thanks to the strong magnets. 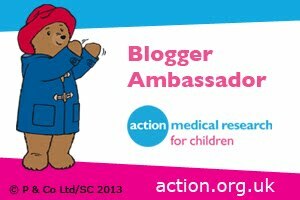 The Magnetic Train is lovely and lots of fun for little ones, Jelly Bean already loves it and as he grows he will benefit more from it as he learns to stack the blocks and create his colourful choo choo train. The durable train has an RRP of £19.99 and is a lovely wooden toy that will be enjoyed for a long time to come. 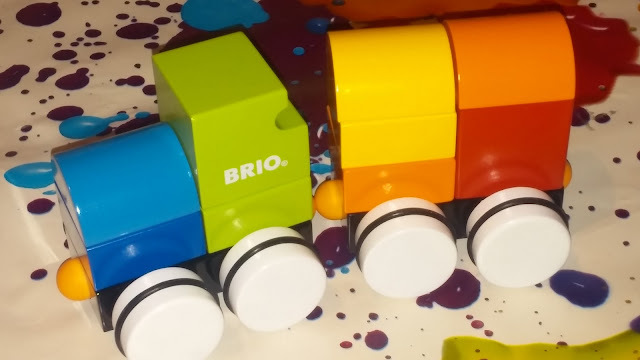 We love these toys from BRIO, they have the traditional element and outstanding quality of wooden toys we love with a colourful and modern twist.